Being Asia's leading aesthetics and laser centre, KO Skin Specialist recently introduced Picoway, the latest breakthrough technology in dematology laser to enter Malaysia. CEO Dato' Dr Ko Chung Beng unveiled the million dollar laser machine at a launch party in Aloft Hotel Kuala Lumpur which i was happy to attend, so thank you Dr. KO for having me. The party was attnded by celebrities including actor Idris Khan, film directpr Erma Fatima, Astro SuperSport host Amanda Chaang, TV host Yasmin Hani, actress Tengku Putri Najuwa and more! From what i heard during the launch, PicoWay is the most advanced laser solution for tattoo removals and benign pigmentation such as freckles and age spots. The technology uses the shortest laser pulse in the market - 375ps & 450ps. And if thats too complicated for you to understand, to break it down to you, it generally means that the laser effectively breaks down pigments into the tiniest particles to be cleared by the skin, measured in picoseconds (trillionths of a second). I believe that its as fast as the flash from DC. With this exciting launch, this makes KO Skin Specialist the FIRST and ONLY laser centre in Malaysia to exclusively offer PicoWay's laser technology. The technology is a premier (and a less painful) alternative to traditional laser tattoo removal. The PicoWay is unlike the traditional lasers as it delivers energy to targeted ink in ultra-short pulses that are fast, safe and comfortable. And since i got to witness a recorded video of the procedure, i can definitely say that you would barely feel the pain if you ever decide to remove a tattoo. Even Darth Vader and the Storm Troopers came to the launch too! Picoway is a game changer as the laser energy is delivered to the target pigment particles while minimizing the amount of heat absorbed by the skin and with that, Malaysians will finally have a laser treatment option that is suitable for their skin tone. Picoway is the proprietary laser technology of American-based medical aesthetic devide company Syneron-Candela; distributed in Malaysia by Beaumedic aesthetic (M) Sdn Bhd. Group shot of Celebrities and VIP's during the event. And with that, im sure that Dr KO is more than excited to partner with KO Skin Specialist to introduce Picoway to Malaysia. With their track record of having the best medical professionals on their team, im sure that they are more than confident to give the best possible treatment and outcome by using Picoway. So if youre looking for a less painful alternative to get rid of your skin imperfections, give PicoWay a try and be amazed with the results. Good morning! If youre here to find out about my recent discovery, well you came to the right place. Being a KL socialite myself, even i find it hard to find authentic local food in the heart of Kuala Lumpur. But since i found a place which serves only the finest Malaysian food, let me do the honors of saving your time by recommending this hidden gem, located in Bukit Bintang, hidden in Tai Ichi Hotel. Varieties of food with different price ranges can be found in Bukit Bintang, however, Taiichi Café serves only high-quality food at a very affordable price. And from my first paragraph, its pretty clear when i say that its hidden within Tai Ichi Hotel, located at No.78 & 80, in Jalan Bukit Bintang Kuala Lumpur. 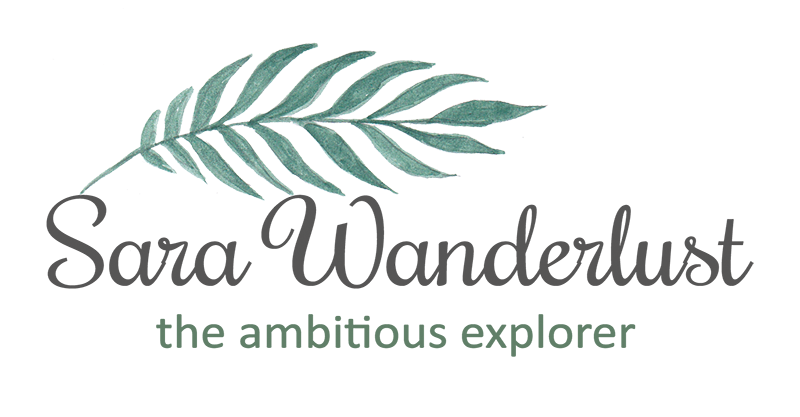 Its not exactly easy to find if you're unaware about the café, but i can guarantee to you that your hunt would be worth it! Surprisingly, i was rather shocked to find such a hip place to dine in at Bukit Bintang. Despite it being an old building, i would say that the interior decoration has a very modern feel to it. With green walls, cozy seating corners and not to forget that its air-conditioned! The most interesting thing about the café concept would be that they dont only feature 1 professional chef, but 3 professional chefs under one roof. Since i arrived at the café at about 11am, the best thing to have on a Sunday morning would be the classical Malaysian Nasi Lemak. Now, this isnt your ordinary nasi lemak cause its specially prepared by Masak Masak, and all local cuisine prepared with love by Chef Lily. Its priced at RM10-RM12 for a set of Nasi Lemak served with either Fried Chicken, Rendang Chicken or Rendang Beef, with an additional side of Terung Cili. Its also inclusive of a drink too! I have to say that this tasted amazing as i havent really tasted 'good' nasi lemak for a while now. The taste was very home cooked, and the ingredients are all cooked to perfection! Yums, will definitely be coming back for more. Thai Salad and Seafood Spaghetti anyone? Dont get me started on the cakes! If youre not looking for local food, why not try some dishes by Chef Leoniel's. Since the chef himself was there to serve us, he presented to us small portions of his Seafood Spaghetti (RM15) and Thai Salad (RM12). Now let me tell you something, im not exactly a fan of spaghetti, but the Seafood Spaghetti by Chef Leoniel is a must-try! Not over seasoned, and the flavors really made me feel like dancing. Not to forget his Thai Salad which tasted really healthy as it wasnt too sourish and it tasted fresh. Thumbs up to Chef Leoniel! Alternatively, Chez Leoniel also has yummy handmade French pastries available at the café too. Be sure to grab a bite of it when you get the chance to. Chez Leoniel has a tea set which ranges from RM10 to RM35 where a coffee and a pastry would cost about RM12, or you go try the tea set for 2 pax that includes 10 pieces of pastries with the option of tea of coffee at only RM35. Thats insanely affordable. Or if youre looking at the cakes, you can also pick a slice of cake of your choice and a hot beverage at less than RM20. And i warn you, each bite of the cakes are highly addictive. Dont be fooled, as this durian like shaped is actually a cake! Now dont be fooled by Chef Matthew's 3D Durian Cakes, cause when i say its 3D, its almost too good to be true. In the images above isnt a fruit, but its an actual cake. I know, i know, i find it hard to believe it too. The details and the colours were well played by Chef Matthew Yap and i cant believe that it took him only 2 hours to prepare such a masterpiece. That is what i call skills. The Durian cake is made from Musang King, which means its only made by the finest of the finest durians. If you think this is a real Coconut, well think again! Yep, this is a cake too! SURPRISE! Another cake that he featured would be the Coconut cake, and again, i had to convince myself that this coconut shaped cake is an actual cake. I KNOW! I have to say that Chef Matthew has some serious skills when it comes to cakes and im impressed. Every single detail of his cakes are on point, and not to forget that they're very Malaysian too! 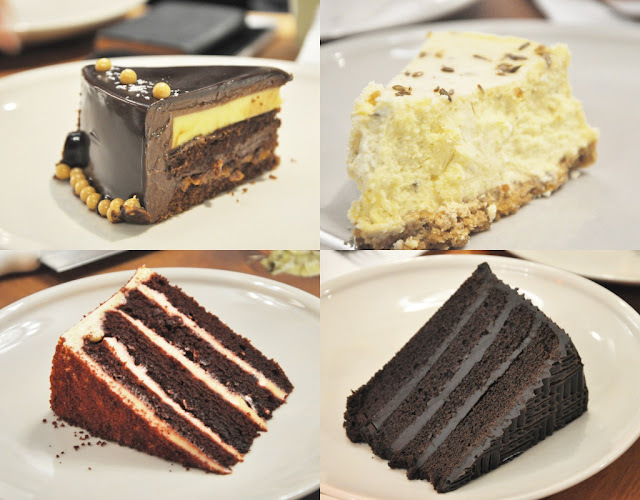 For orders, you can directly contact Chef Matthew himself at 012-2373121, and cake price starts from RM168/ 3D Cake. Looking for an event space in Shah Alam, here's a new place that just recently launched in 2017! If you're looking for an event space that provides 3 floors to host your event, well you came to the right post. I was honored to be invited to the launching ceremony which was launched by YDG Dato Haji Emran Bin Haji Kadir Dato Orang Kaya Maha Bijaya Petaling Orang Besar Daerah Petaling, where we had a bridal bed exhibition, a fashion show, singers by up-coming artist, and members of the media who attended. Since I was present at the launch of De'Laman, might as well share some info's for you guys to read up. De'Laman is a 3 story building that's located in iparc 3 Bukit Jelutong and it can be an event space for all kinds of events, namely weddings, Akad nikah, anniversaries, fashion shows, parties, seminars and more! But of course, in general, if you're looking for a more affordable alternative rather than spending on expensive hotels for a small hall, De'Laman is an event space that you can consider. I was surprised to see that the hall could actually host a fashion show too! During the launch, we had Bon Zainal and Dicky Ishak who came all the way from Singapore to host their fashionable collections. It's amazing how creative you can play around with the spaces at De'Laman where in my mind I think it would be a great place to host an event such as a bridal shower or a baby shower (i mean, why not?). For more details on De'Laman, checkout their facebook page at https://www.facebook.com/Delamaneventspace. The event was also had a bridal bed set up with a bride and groom walking through the red carpet on the same day itself. I'm amazed that the organizers even considered adding this into the agenda to help attendees visualize if an event would take place at the one and only De'Laman. The space started its operations in December last year and has approximately 6500 square feet of space making it extremely new. I would also emphasize that it's located in an ideal location as it's very easy to find, strategic with parking lots available. I'm sure you must be wondering what would the upper levels be used for since its a 3 story building. I managed to check the space out and I was told that the extra space can actually be used for the caterer's, a surau, a resting space, hidden PA System space, a projector, a additional hall with air condition, and more! Not to forget that the outer hall space is wide enough to also host an event too. It's really up to your creativity and the amount of guest you'll be expecting. So if you're looking for an event space for a wedding, well good news cause they provide you with convenient packages that are super affordable and with multiple budgets to suit your needs. The packages listed below are for at least 1000 pax and on top of that are inclusive of an FOC Wedding Cake, Make-up services, 600 units of Moist cake and a Queen Size Bed entirely FREE! So I would definitely say that the packages are worth every cent. There are 4 packages available, so its really up to you if you want to splurge on more options. The packages available at the moment would be starting from RM35 per pax to RM75 per pax which really depends to the person renting the event space. The pricing includes the food spread of your choice, bridal set, bridal and groom outfit, decorations, tables, chairs, VIP Dome, Buffet station, photography, videography, tent rental, even planner, air conditioned hall, service staff, additional tables, parking space, surau, red carpet, and more! The additional pricing would be splurged more on digital services such as 32ft crane videos, number of cameras, belt headset, and basically additional equipment. So when will you be booking your event at De'Laman? Yeo Hiap Seng (Malaysia) Berhad a.k.a Yeo's, a company that has taken initiative steps to win the heart and trust of Malaysians is now having a health-related campaign to emphasize the importance of taking care of your health in terms of the food we consume and not to forget exercising. The reason of this campaign is to spread awareness of the increasing statistics of obesity in Malaysia (OH NO!). 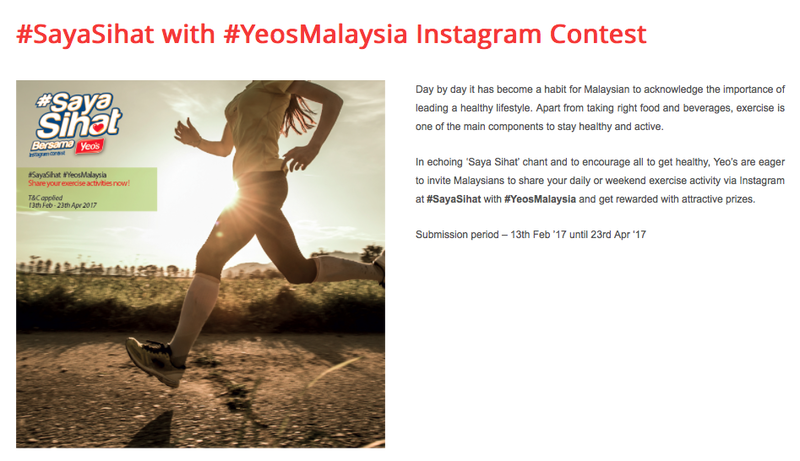 So with that being the main reason for the campaign, Yeo's launches the #SayaSihat (#ImHealthy) campaign with #YeosMalaysia! 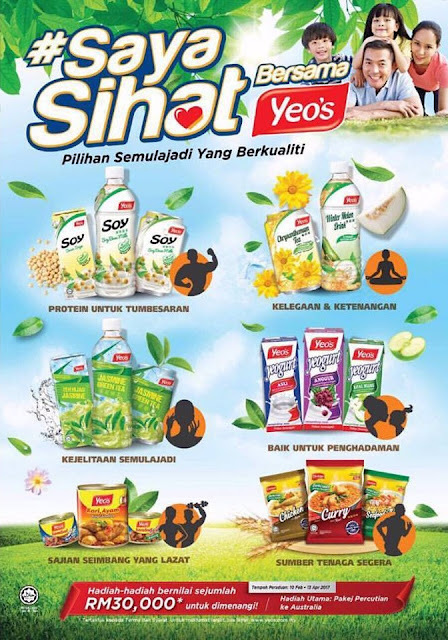 Ong Chay Seng, Malaysia Group Vice President shared that Yeos has been a drink that has been well known for its high-quality ingredients, with less sugar and a drink that does not contain preservatives. Personally speaking, a good example to me would be the Yeo's Jasmine Green Tea as Green tea is good to burn fat and also high in antioxidants. Where else, Yeo's Soya, on the other hand, is good to maintain energy levels in the body since its high in protein. Growing up with Yeo's when I was in highschool has really created impact to my daily lifestyle and I'm glad that they decided to start a health campaign which is something I prioritize a lot in my daily lifestyle. 2. Upload your photo to your Instagram account and hashtag #SayaSihat, and #YeosMalaysia. 3. Set your Instagram account to public. 4. Tag to of your friends to complete your participation. And thats it! I love how Yeo's is encouraging the society to exercise, which i myself take it as a reminder to carry myself to the gym. Hehe. Im actually looking forward to join the contest myself, so if you are looking for inspirations, follow my Instagram (@alizasara) and i shall let my pictures do all the talking. 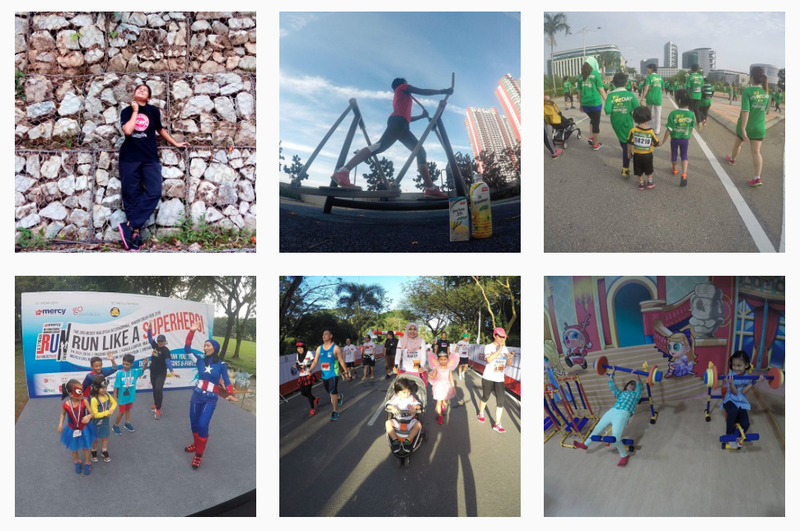 In case some of you are wondering how the concept of the campaign works, Yeo's is emphasizing that their products are high quality that contains natural fresh ingredients and its super convenient to consume while youre doing your exercising. YAS! 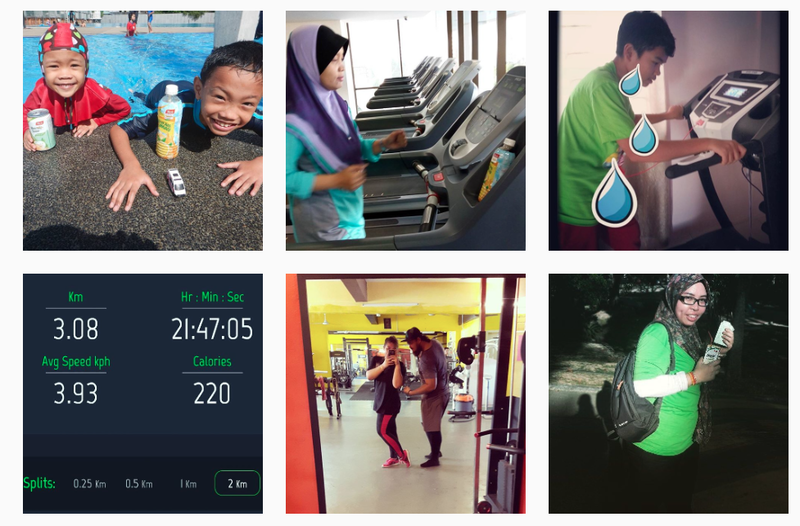 The #SayaSihat hashtag is to spread the awareness an encourage fellow Malaysians (especially the youth and city folks) to exercise. But of course, if youre aiming to win the contest, be sure to include your favourite Yeo's product into your photo to win amazing prizes! There will be 10 weekly prizes featuring a Sports Direct voucher worth RM100 and Yeo's product. I assume that most of you would be trying to grab the MAIN PRIZES, where the FIRST WINNER would be winning a Sports Direct voucher worth RM1000 + Yeo's products, SECOND WINNER would be winning a Sports Direct voucher worth RM800 + Yeo's products and the THIRD WINNER would be winning a Sports Direct voucher worth RM300 + Yeo's products. I hope everyone is having a good week ahead. So today I'll be sharing with you about the Kinohimitsu 2-day speed cleansing. The reason I decided to consume this was because I just got back from a recent food trip to Singapore where I was having 5 full meals in a day, and boy I gain weight for eating more than I should. Thus, thankfully for the existence of the Kinohimitsu 2-Day Speed Cleansing, I hope to detox my body from the food I overate during the weekend. If you're here to find out more about the Kinohimitsu 2-Day Speed Cleansing, you may scroll away to find out more. Before I start talking about the results, let's talk about what it basically is. The Kinohimitsu 2-Day Speed Cleansing claims to be a delicious and trendy way to detox with 10 cleansing goodnesses that will surprise you. And if you're wondering what the 10 points are, it would be that it helps to achieve a flatter tummy, achieve clearer and smoother skin, improves energy levels, reset metabolism, natural weight loss, improve digestive health, improve insulin sensitivity, boost immunity, reduce cravings and improves the body's well-being. With so many benefits being pointed out, i was actually excited to try this out. You may also be wondering what's in the box right? The contents of the box are good to last you two whole days, which contains fruity flavored detox drinks for easier detoxing. In the box, you will find 12 sachets featuring 4 of each of the 'cleanse and shape', the 'cleanse and boost' and the 'cleanse and beauty'. On the side of the box, there will be a cleansing plan for you to follow and it's generally a guide to consuming 6 sachets in a day which may require you to drink at least 3 to 4 liters within the same day. Not being a heavy water drinker, I kinda thought that this would be challenging. So let's talk about the drinks that are available in the box. To my personal opinion, what matters the most would be the detox plan, and the drinks really play an important role if youre like me. I love flavors and food, so taste is necessary to me. So upon 'preparing' my Cleanse and Shape breakfast drink, the contents of the sachet is in a powdery form. All you need to do next, is to add 2 sachets of Cleanse and Shape in a cup and fill it with 250ml of water (in my case i filled it with cold water). I gave it a mix, and noticed that it blends really well! If you love fruity pulps in your drink, then i have no doubt that consuming this would be a problem cause it taste good. YAY. Be sure to consume at least 500ml of plain water before consuming your Cleanse and Shape drink. The sachet says that it contains Garcinia Cambogia, Green Coffee and Passion Fruit. Since i was doing extra reading on Garcinia Cambogia, it claims to block fat and suppress appetite, which is no wonder why i managed to survive the entire day on fruits and veggies only. EXPLAINS! Green Coffee on the other hand acts as an antioxidant to help lower blood pressure and lose weight. But as an overall taste, i have to say that it entirely taste like passion fruit, and has a really pleasant smell to it. (And trust me, cause im VERY particular with the smell of the things i consume) Its amazing on how sweet the taste is, as if i was told to drink another cup of it, i would! hehe. Before consuming your Cleanse and Boost for lunch, be sure to drink at least 1 liter of plain water in between your breakfast drink and lunch drink. Again, repeat the steps with 2 sachets of Cleanse and Boost then mix it with 250ml of water. I wouldnt say that this drink varies as much to the first drink, but i have to say that this drink was like a booster of energy. Particularly maybe cause its sweet, but despite not eating a proper meal, this drink helped me regained my energy. The sachet says that it contains Organic Wheatgrass, Spirulina, and Kiwi. Wheatgrass apparently is well-known as the healthies food out there and it has been hyped to increase energy levels and improved overall health. Spirulina is a natural 'algae' that's high in protein and a good source of antioxidants. But of course, I taste none of the wheatgrass and spirulina cause the Kiwi flavor is the strongest flavor, making it super easy to consume. Mmm Kiwi. As the description says it cleanses and beneficial for beauty. Providing only the good nutrients for beauty, your dinner drink is filled with collagen, antioxidants and mixed berries. I honestly love this the most as it smells and tastes like berries, leaving me a smile on my face before heading to bed. Despite this being my last drink for the day, I need to remind myself to consume at least 500ml of water, after consuming the Cleanse and Beauty drink. Im sure you might be wondering what my situation before i started taking the Kinohimitsu 2-Day Speeding Cleansing, and the reason to that would be because I had a recent food trip, where i literally gained a few kgs for eating 5 meals, consistently for 3 days in Singapore. So of course, when would be a better time to consume Kinohimitsu's Speed Cleansing plan right? 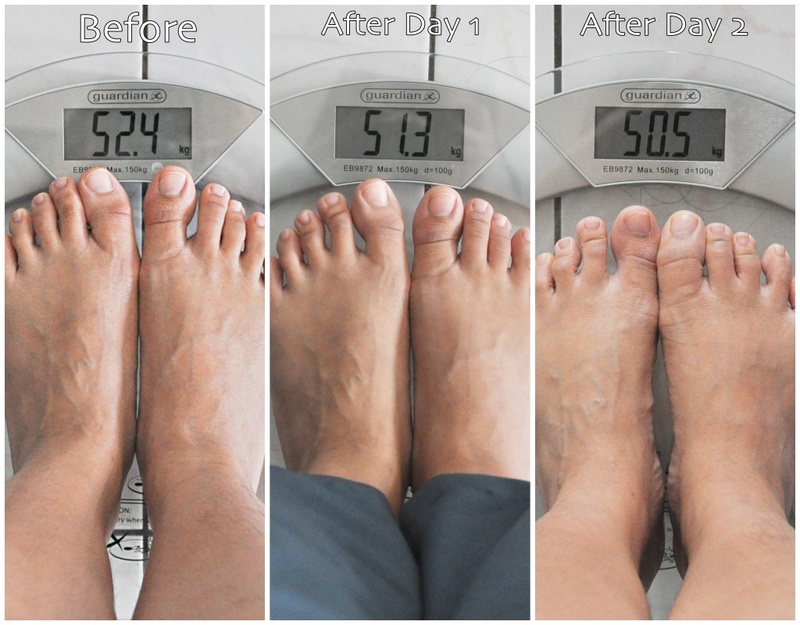 And as you can see from the images above, my weight before consuming Kinohimistu's Speed Cleansing plan was 52.4kg (usually NEVER above 50kg's) and of course, you can see my stomach bloating for eating too much. Now that you know what I had to go through during the past 2 days, I think what matters more than anything else would be the results. So here they are! Please ignore my 'ballet feet' for being ugly, but from the looks of it, I managed to loose almost 2kg's (1.9kgs to be exact). But of course, just to let you know that I did ate a little on the first day, and I had a meal ( a small portion of rice and chicken) on the second-day cause im not too fond of the diet thing. It's advisable to consume on veggies and fruits, but if you cant take it, I guess eating small portions would be fine as these drinks will definitely keep your stomach from growling. AND not to forget that i did lose almost 2kg's despite eating. Teehee. Look, flatter tummy after just 2 days!